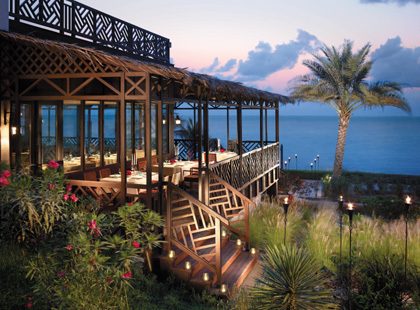 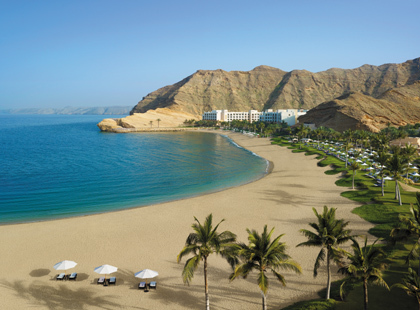 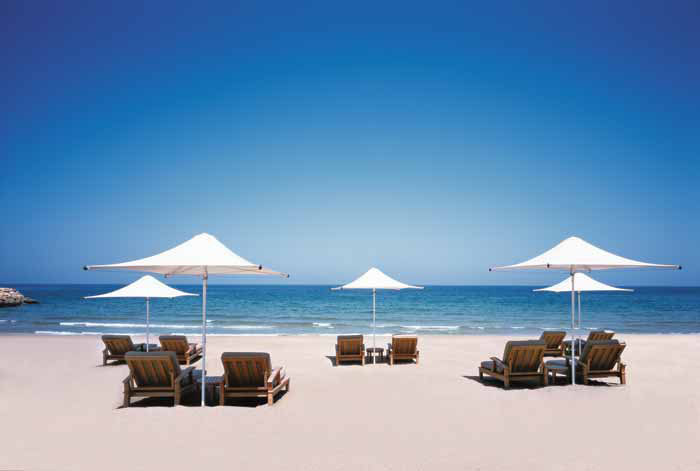 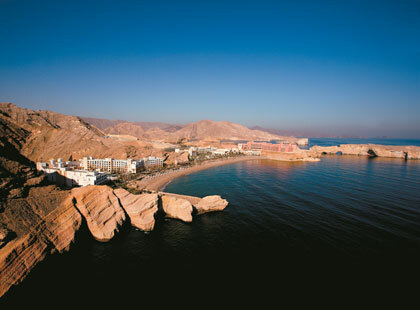 Al Waha, "The Oasis", is the largest of the two hotels at the Shangri-La Barr Al Jissah Resort & Spa which nestles in between the dramatic backdrop of rugged mountains and the pristine waters of the Sea of Oman. 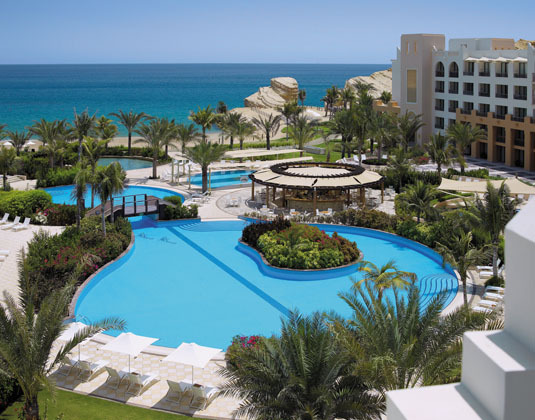 Ideal for families or the young at heart, Al Waha lives up to its name, with several swimming pools merging to form a serene oasis, while date palms and traditional Dhofari architecture remind you that you are in Arabia. 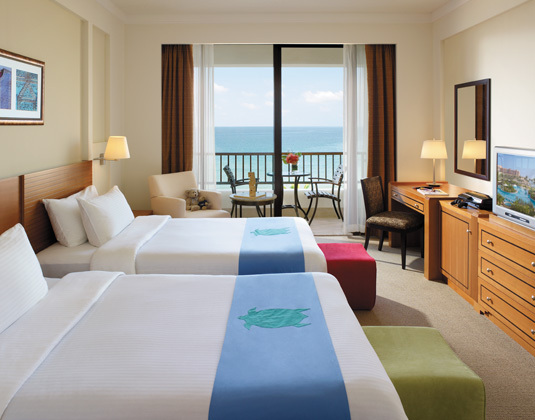 In superior rooms with air-conditioning, bath and separate shower, mini bar, safe and balcony or terrace.